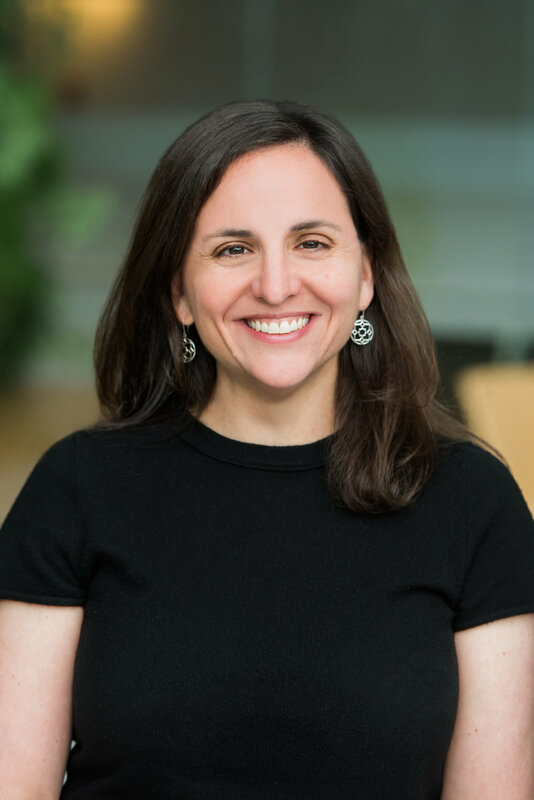 Jennifer Temel, MD is a Professor of Medicine at Harvard Medical School and Director of the Cancer Outcomes Research Program at the MGH Cancer Center. She has received funding from the National Cancer Institute, the National Institute of Nursing Research, the Patient Centered Outcomes Research Institute, and the American Cancer Society to study novel methods of improving the care of cancer patients. She has developed a thriving research program focused on optimizing palliative and supportive care for patients with cancer and their families. 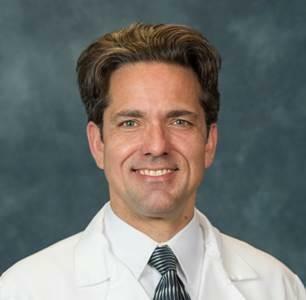 Dr. Temel was awarded a National Cancer Institute mid-career development award to mentor others in palliative and end of life care in oncology and serves as the co-Principal Investigator on a National Cancer Institute grant to conduct a workshop on methods in supportive oncology research for junior faculty. Dr. Temel is the recipient of the American Academy of Hospice and Palliative Medicine Award for Excellence in Scientific Research, the American Cancer Society Pathfinder Award for her impact on the field of palliative care, and the American Psychosocial Oncology Society Award for Outstanding Education and Training. Haider Warraich, MD is a fellow in Advanced Heart Failure & Transplantation at Duke University Medical Center and the author of Modern Death – How Medicine Changed the End of Life (St Martin’s Press). He is a regular Op Ed contributor for the New York Times, as well as the Atlantic, Guardian, Wall Street Journal and LA Times and has also contributed to academic publications such as the New England Journal of Medicine, Journal of the American Medical Association, Lancet and Circulation. He has appeared on CNN, Fox, CBS, PBS, and on NPR shows like Fresh Air with Terry Gross, The Diane Rehm Show, The World, Marketplace and the BBC World Service. Dianne Gray is the Chief Innovation and Patient Advocacy Officer for Acclivity Health Solutions and is CEO of Hospice and Healthcare Communications. She is also an award-winning writer/journalist for over 70 books, magazines, newspapers, blogs, tech and educational projects. She’s also a film producer & film consultant, international keynote speaker and program builder. She’s been named one of Origin Magazine’s Top 100 Creative + Leaders Changing the World and received SNAP Association’s National Gold Award for an article she authored for The Forum, ADEC’s professional journal. In short, she’s a powerhouse global advocate for improved care for the seriously ill, the dying and the grieving. Her motivational and inspirational keynote presentations discuss the tough and tender topics involved in the provision of quality end of life and grief care. Dianne is the only non-family member allowed to speak and write on behalf of the iconic Dr. Elisabeth Kubler-Ross. She’s on their board and is also on the board of the International Children's Palliative Care Network and is co-founder of the American Academy of Pediatrics, Section of Hospice and Palliative Medicine's Parent Advisory Group. Over the past twenty-five years, she has founded four non-profit organizations, each focused on improving life for seriously ill children and their families. As well, she still sits bedside with as many adult and pediatric patients as possible, often acting as a resource for those facing end of life and deep grief. Throughout, Dianne sees her family's ten-year pediatric hospice/palliative care experience with healthy daughter, Christina and her son, Austin (who died in 2005 as a result of a neurodegenerative disorder) as the gift of a lifetime. As an aside, she has traveled to 17 countries and over 300 cities in the past 13 and loves to see who she crosses paths with each and every day! Phil Rodgers, MD, FAAHPM is an Associate Professor of Family Medicine at the University Michigan, where he was appointed in 1998 following his residency training there. He practices and teaches full-spectrum family medicine, including inpatient adult medicine, and subspecialty palliative medicine. He is also founding director of the UM Palliative Care Program, served as founding associate director of the UM Palliative Medicine Fellowship Program, and currently serves as director of Adult Palliative Care Clinical Programs. Dr. Rodgers has become a leading national expert in payment and care delivery innovation in palliative care, and has received numerous invitations to speak, contribute to panels and workgroups, and provide technical expertise to conveners and policymakers including the Center of Healthcare Research and Transformation (CHRT), the Michigan Primary Care Transformation Initiative (MiPCT), the National Academies of Science, Engineering and Medicine (NASEM), the Moore Foundation, and the Pew Charitable Trusts. He has also held numerous leadership positions within the American Academy of Hospice and Palliative Medicine (AAHPM), most recently leading development of AAHPM’s proposal for a new Alternative Payment Model for community-delivered palliative care, which has been recommended by an expert panel for testing by the Centers for Medicare and Medicaid Services (CMS). His work has been recognized by several awards including the University of Michigan Family Medicine Resident Teaching Award, the University of Michigan Dean’s Award for Community Service, the Cambia Health Foundation Sojourns Leadership Award, and the American Academy of Hospice and Palliative Medicine Gerald Holman Distinguished Service Award. Sara Hufstader Collins, MA is the Senior Manager for the Serious Illness Quality Alignment Hub (Hub) at the Center to Advance Palliative Care (CAPC), a national nonprofit dedicated to ensuring that all people with serious illness have access to palliative care – regardless of their diagnosis or prognosis. She manages the initiatives of the Hub and coordinates activities on the project which aim to improve access to, and delivery of, high quality care for individuals with serious illness. Prior to coming to CAPC, Sara was the Project Officer for the Improving End-of-Life Care Project at The Pew Charitable Trusts. The project focused on advancing policies that help individuals receive high-quality health care as they near the of end of life. Preceding Pew, Sara was the founder of a community nonprofit, Sanctuary for the Dying (SFTD), where she assisted vulnerable populations to understand, and access, serious illness care options. Sara has a Masters in Health Advocacy from Sarah Lawrence College. Kristyn Fazzalaro, LCSW is a Licensed Clinical Social Worker who holds an Advanced Certification in Hospice and Palliative Care. Kristyn received her Master of Social Work from California State University, Long Beach in 2001 and has worked at Hoag Hospital for the past 17 years, providing emotional support and goals of care guidance to patients and families. Kristyn completed the Zelda Foster Leadership Fellowship in Palliative and End-of-Life Care at New York University in Spring 2015. Kristyn has a passion for patient advocacy and strives to ensure that patients receive the care and services that best match their personal values and goals. Kristyn serves on the Hospital Ethics Committee and the Palliative Care Quality Network Advisory Board. As the Manager for the Hoag CARES Program and Hoag Cancer Support Services, Kristyn strives to ensure that the highest quality of care is provided to every patient and family through innovative program design and implementation. Steve Smith, MS CAE, has served as CEO and executive director of the American Academy of Hospice and Palliative Medicine (AAHPM) for more than a decade. AAHPM is the professional home for more than 5,000 physicians and other healthcare providers specializing in hospice and palliative medicine. Steve has a track record of creating high performing boards and working with other health care leaders to elevate engagement and collaboration between senior staff, volunteer leaders and organizations that share common goals. This includes generative thinking, strategic prioritization, new product development and strengthening trust, communication, knowledge and understanding with internal and external constituents. Steve has been honored with the Association Forum of Chicagoland’s John C. Thiel Distinguished Service Award and recognized as a “Top Association CEO” by CEO Update magazine. Steve is also an active volunteer leader currently serving on several professional and community organizations. He is a President-Elect of the American Association Medical Society Executives (AAMSE) and a hospice volunteer. Katherine Ast, MSW, LCSW serves as Director of Quality and Research for the American Academy of Hospice and Palliative Medicine (AAHPM). She is a licensed clinical social worker and specialist in quality and performance measure development. She has been instrumental in the AAHPM and Hospice & Palliative Nurses Association's “Measuring What Matters" initiative, helps to lead the multi-year Palliative Care (PC) Quality Collaborative project which seeks to unify the three PC data registries in the field, manages a project to develop and test a new pain treatment measure in patients with serious illness, and provides strategic direction for AAHPM in the areas of quality measurement and the national quality landscape. Prior to her work at AAHPM, she worked with the American Medical Association (AMA) where she managed multiple projects for the Physician Consortium for Performance Improvement (PCPI), including staff lead for the development and endorsement of clinical performance measures. Katherine’s other experience includes overseeing quality improvement at Anixter Center, a social service agency supporting people with developmental disabilities, serving as a clinical therapist for children, adolescents, and families, teaching high school English, ESL, Psychology, and World Cultures, and coaching volleyball and softball. Katherine received her BA in English Education from Duke University and her MSW from the University of Illinois at Chicago. Maggie Rogers, MPH is a Senior Research Manager at the Center to Advance Palliative Care (CAPC) and joined the CAPC team in February 2015. In her role at CAPC, Maggie leads the Research Department, manages the National Palliative Care Registry™, CAPC's Mapping Community Palliative Care initiative, and conducts research on the landscape of palliative care programs in the United States. Her work includes analyses on access to palliative care across the continuum of care and in-depth analyses on the structure and process of palliative care programs' operations. Maggie holds a Master of Public Health (MPH) in Epidemiology. Angela Marks, MSEd is Division Manager of the Division of Palliative Medicine at UCSF and Deputy Director of the Palliative Care Quality Network (PCQN). The Palliative Care Quality Network (PCQN) is a national learning collaborative committed to improving the quality of palliative care services provided to patients and their families. PCQN hosts a national palliative care data registry and sponsors a range of activities to support quality improvement initiatives, identify and disseminate best practices, and foster a professional community that contributes to the growth and future direction of palliative care. PCQN’s membership currently consists of over 120 hospitals, health systems, and community-based organizations across 17 states. As Deputy Director, Angela manages all aspects of the design, development, execution, and evaluation of PCQN. Prior to joining the PCQN, Angela was a Senior Manager at the UCSF Healthforce Center where she lead research, evaluation, and training efforts focused on health care workforce development and systems improvement. Angela came to UCSF from the Center for Injury Research and Prevention at the Children’s Hospital of Philadelphia, where she managed a portfolio of research projects aimed at improving the screening and secondary prevention of pediatric traumatic stress post-injury. Angela received a MSEd degree in Psychology and a BA in History, both from the University of Pennsylvania. Arif Kamal, MD, MBA, MHS, FACP, FAAHPM is the lead physician for QDACT development, studies the link between delivery of high quality care and improved patient and caregiver outcomes and how this can be achieved within the intersection of treatment–directed oncology care and supportive care. 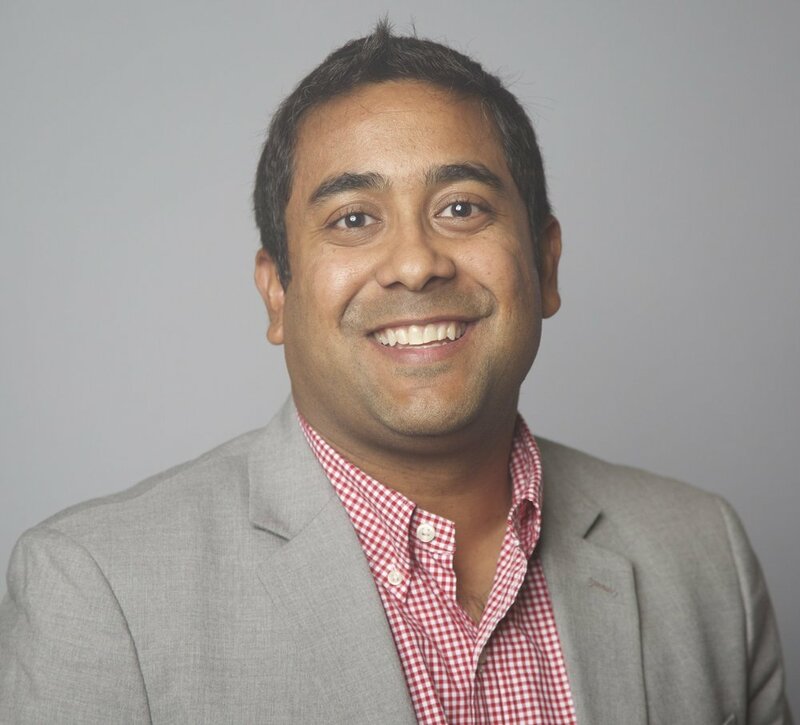 Even as an early career academic leader he is already widely published and sought after for his opinions and participation on task groups within his national professional organizations, AAHPM and ASCO. Dr. Kamal received his medical degree from the University of Missouri-Kansas City, his internal medicine and palliative care training at Mayo Clinic, and hematology/oncology fellowship at Duke. Jon Nicolla, MBA Mr. Nicolla directs all project tasks and functions for the GPCQA. He has been working with the GPCQA since its inception in 2014 and has been working with QDACT since 2012. In addition to his work in palliative care quality, Mr. Nicolla oversees multiple mHealth development projects at the Duke Cancer Institute. His primary interests are the impact of IT solutions on the delivery of quality patient care. He is a graduate of SUNY Albany with an MBA and concentration in Information Technology Management and a BA in Sociology from Duke University.